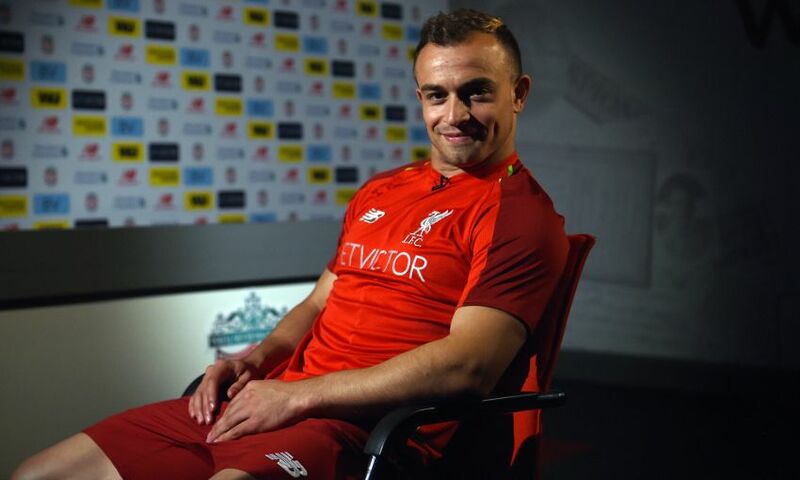 Xherdan Shaqiri is confident Liverpool are primed to achieve success in the coming seasons as he targeted trophies after joining the club on a long-term contract. The Switzerland attacker completed a medical and agreed a deal to switch to the Reds from Stoke City today, the third new arrival at Anfield this summer. Soon after, he sat down with Liverpoolfc.com for his first official interview and there was a recurring theme during the chat: his desire to win silverware. 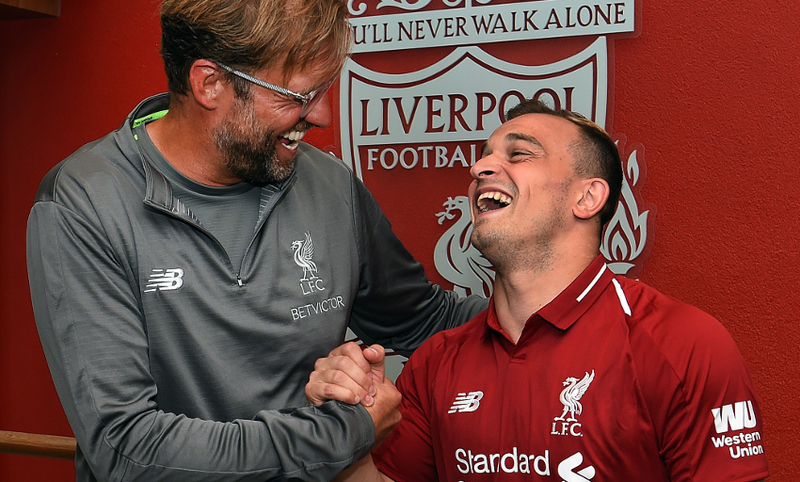 Shaqiri also revealed his long-standing appreciation for Jürgen Klopp as a man and a manager, explained how he crossed paths with new teammate Mohamed Salah six years ago, and imagined the feeling of scoring his first goal in front of the Kop. Alternatively, read on for a transcript. 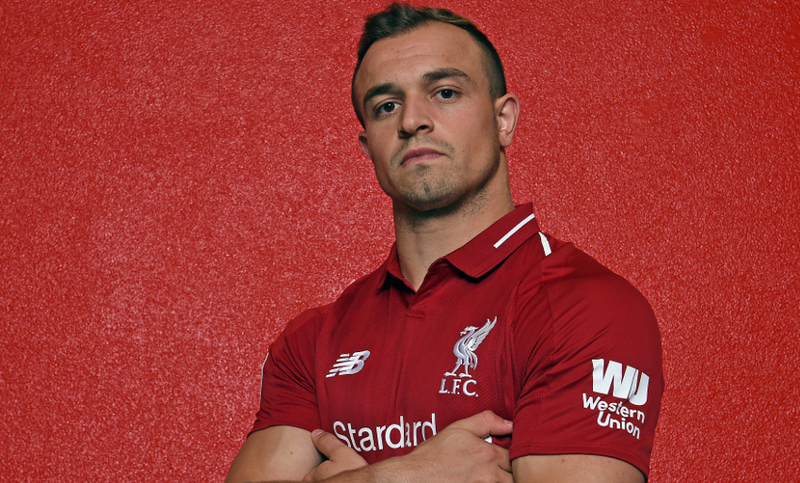 Welcome to Liverpool Football Club – how happy are you to have this deal done now? First of all, thank you. I’m very happy to be here. It’s a huge club with big history, big players and a fantastic coach. So I’m really glad and happy to be here. You had options this summer, so why is Liverpool the right club for you? As a player you always want to be on the biggest stage in football. A few years ago I wanted to come too but it didn’t happen. I’m really happy that now I’m finally here. I want to improve myself too, I want to be with the best and I want to win titles. That’s what I’m here for. Did you always hope it might still happen? Of course I was disappointed. At that time my old club didn’t want me to go. Now I’m happy to be finally here and I can’t wait to get started. Jürgen Klopp says this is the perfect place for you to push yourself. Is that part of the reason why you wanted to come here? I know the coach from Germany, when he was at Dortmund. We played against each other – me with Bayern Munich – and they were always big games. That was a big point for me to come here, because of the coach. I love his football, how he plays and how he manages a team. I was always an admirer of his so I’m happy to reunite with him. Is it his personality as well as his coaching style that appeals to players? He’s a big personality. The most important thing is to win games and win competitions. He has the hunger to do that. Since he came here you can see how the team has progressed. They are in the best way to win titles and that’s why I’m here – I want to win titles. I think we can achieve a lot. You want to improve and he specialises in improving players, so where can you improve? They had a very good season last season. I was very sad they lost in the Champions League final; that’s football sometimes. I’m looking forward to the new season. I hope we can do it together again and I hope at the end we have some trophies in our hands. This is the first time you’ve changed clubs within the same country – do you think that will help you hit the ground running? I played three years at Stoke and I know the league. I’m very happy that I’m here. I’m a player who wants to improve and this is the perfect place for me to help the team and help this club win titles. Anfield won’t be new for you as you’ve played there three times before. What impact did it make on you as an opposition player? It’s an amazing stadium. I played there with Stoke and I knew it before – there’s an amazing atmosphere with amazing fans. I hope I can enjoy it and give them something back with the team. We can give them a lot of happiness and success. We want to win games and be successful. As an opponent it’s always difficult to come into the stadium – I knew it and I know it – so I’m really happy to now be with this family and play against other top teams, good teams, in this stadium and to try to give them good performances. We’re used to your crossed arms celebration. How do you think it will feel when you do it in front of the Kop for the first time? I’m sure it will be an amazing feeling when I score my first goal in front of the crowd. I can’t wait to get started. There’s obviously a lot of competition for places in attack at Liverpool. Do you relish the challenge of getting into the team? In football there are challenges everywhere. Of course Liverpool have top players, very good players, young players. It’s difficult for everybody. I’m very glad to be here and I believe in myself. The most important thing is to be a team and win as a team. There isn’t only 11 players on the pitch, it’s more than 11 players who win titles. I’m really pleased to be here and I want to show myself. You know Mohamed Salah a little bit from Basel. What are your memories from the brief time that you spent with each other? I don’t know him so well but he came for training and a trial when I was at Basel. He came to train two or three times, I trained with him. Then I went to Bayern Munich and he stayed in Basel. I’m happy that I see him here. He had an amazing season last year and I hope he can do it this year too. As an attacker yourself, how impressed were you by what he did last season? I’m very happy for him that he had this beautiful season because he is a very nice guy, a good guy. The most important thing is for the club to work and he had an amazing season. Players are always sad when they don’t win trophies but hopefully we can do it this year. How thrilling was it to watch the way Liverpool played as a neutral last season? It was amazing football with high intensity in the game. I was always an admirer of Jürgen Klopp so I’m really happy to be here and to be part of this team. I think I will fit perfectly at this football club. Of course. I want to win titles – that’s my ambition. I already know how to win from Bayern Munich, we won the treble and it was an amazing feeling. I’m confident we can win a lot of titles. The fans deserve to win titles. Hopefully we have a good season and try to be hungry to win titles. 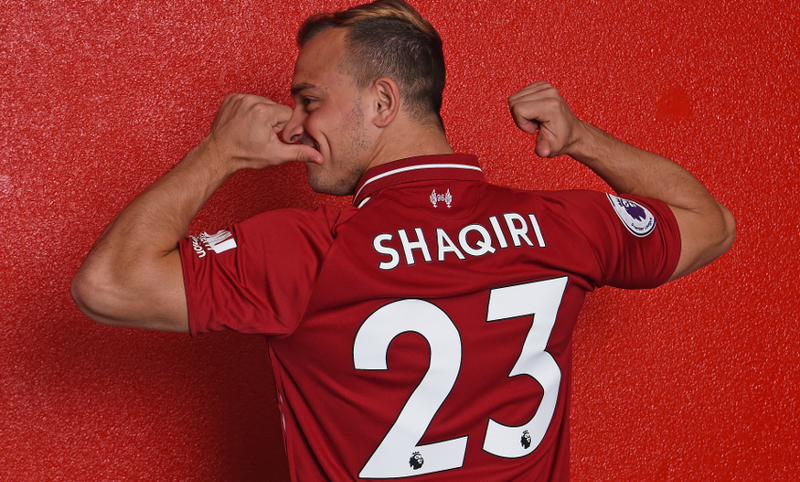 What’s your message to Liverpool fans as you join their club today? I just want to say I’m really happy to be here. I can’t wait to see the fans. I hope we can have a lot of beautiful moments in the coming years.